There is a legend on the Flying Islands of a boy that always dreamed of having his own dragon. His parents did not allow him to have a pet, so he carved a dragon from a birch tree and made a wish during a starfall for his dragon to come alive one day. And then, a miracle happened! On the very next day, the first ever Birch Dragon was already flying around with its young master on its back. Since then, the Birch Dragon is considered the favorite of all dreamers and those who believe in true miracles. How to Breed Birch Dragon? 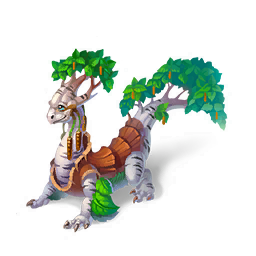 Find out how to breed Birch dragon with the How to Breed Calculator!